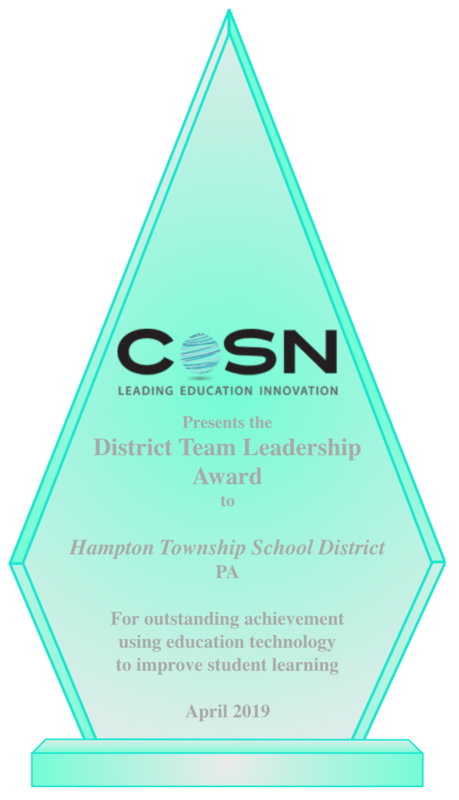 The Hampton Township School District is pleased to announce it is the recipient of the prestigious District Team Leadership Award for 2019. 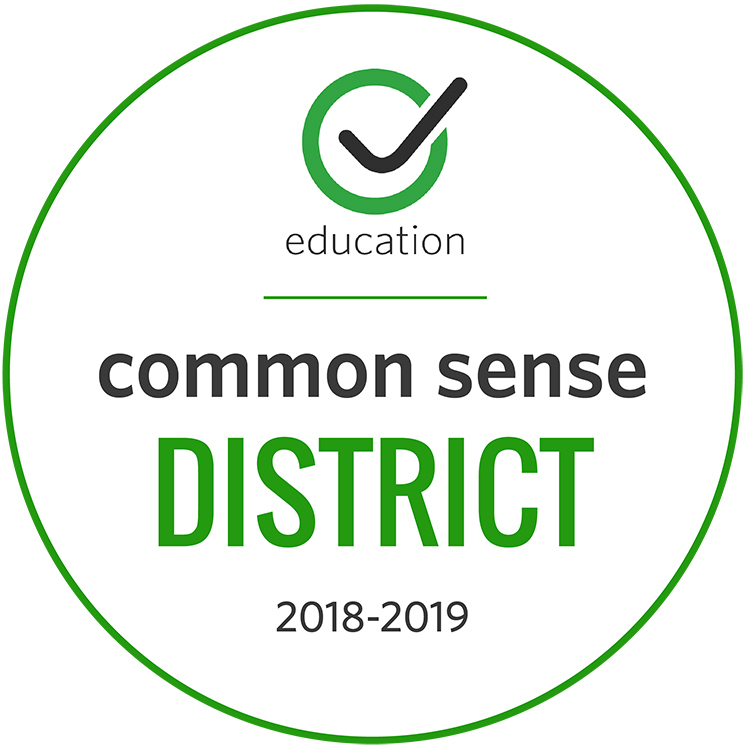 The award is granted each year by the Consortium for School Networking (CoSN), and honors school district leadership teams for their transformative impact on student learning with technology. As part of the recognition process, Hampton was invited to present at the 2019 CoSN, Envision 2030, Annual Conference, which was held the week of April 1-5, 2019 in Portland, Ore. Following a brief video presentation referencing Hampton’s accomplishments, key members of the District leadership team accepted the award on Hampton’s behalf. The team included Dr. Edward McKaveney, Director of Technology; Dr. Michael Loughead, Superintendent; Dr. Rebecca Cunningham, Assistant Superintendent; and Dr. Jacquelyn Removcik, Director of Curriculum, Instruction and Assessment. During the conference on Wednesday, April 3, HTSD’s representatives engaged in multiple presentations. Dr. McKaveney and Dr. Loughead partnered with Dr. Ruben Puentedura, creator of the SAMR model, on Designing Learning for the Future, which looked at the fourth industrial revolution and the role of artificial intelligence, computational thinking and extended reality on the changing world of work and the knowledge, skills and dispositions of today’s learners. The SAMR model was created by Dr. Puentedura and has been an integral component of Hampton’s transformative curriculum. In a separate Award Winners session, the Hampton Team shared insight into Hampton’s successful initiatives relating to curriculum design, innovation and technology. 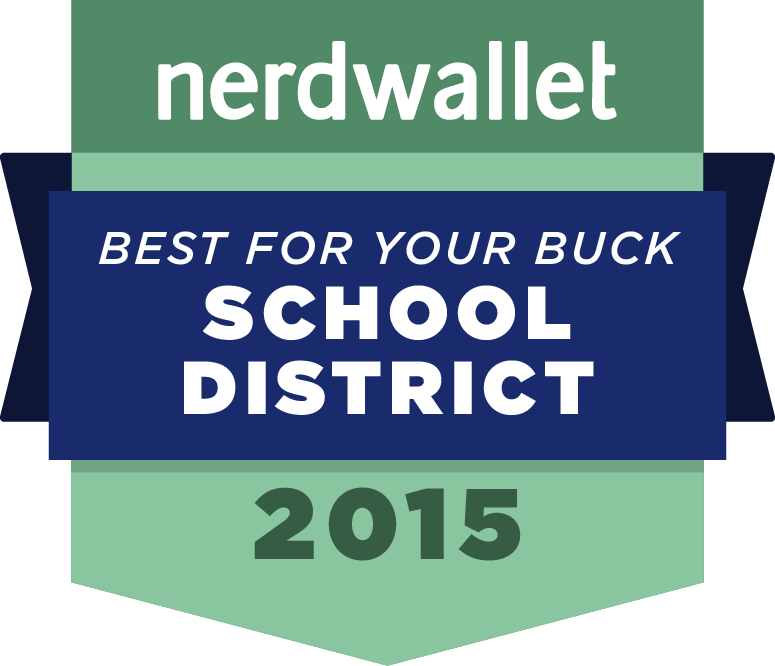 Along with recognition at the national conference, Hampton also received a $2,000 honorarium and a $5,000 DonorsChoose.org gift card. 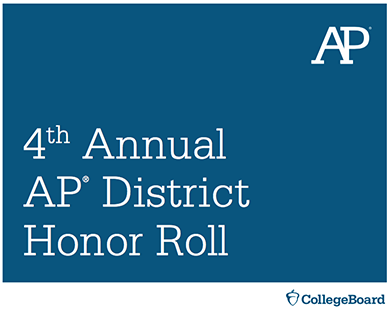 CoSN also provided the District with four complimentary conference registrations. Watch the video Hampton's Leadership Team presented at the 2019 CoSN workshop here.